New RVer asks: How do I know how much propane I have left? New RVer asks: How will my batteries cope with winter? 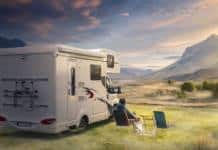 Motorhome buying: gas or diesel? New RVer asks: How do I keep my water lines from freezing? Open alcohol container in your RV? You may be breaking the law!